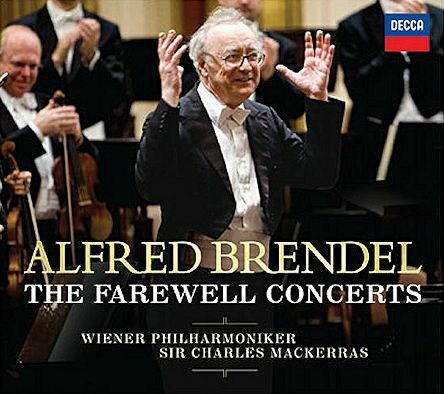 On 17 and 18 December 2008 Alfred Brendel gave his two final public concerts at the Goldener Saal of the Vienna Musikverein. Since Brendel performed his favorite piano concerto, Mozart's concerto in E Flat Major, K. 271 (to which I happen to have a special relation), I was given the rare privilege to write the program note related to this part of the concerts. My text from 2008 is hereby published for the first time in English. The traditional name "Jeunehomme Concerto" is a pure figment of imagination, an arbitrary invention, to which the public has grown accustomed. 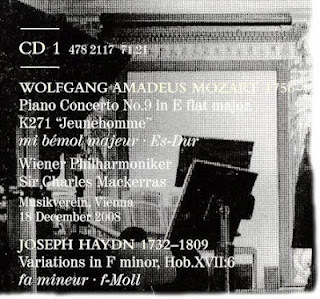 Mozart gives the commissioner’s name in his letter: "I shall give 3 concertos, the one for jenomy [K. 271], the Litzau [K. 246] and the one in B [K. 238], to the engraver, who did the sonatas for me, for cash". In the 19th Century the name variants "jenomy", "jenomè" and "genomai", as used by Mozart and his father, posed no problem. In his 1856 Mozart biography Otto Jahn described the work as "Piano Concerto for Jenomy". Fiction and fact only got mingled in the 1912 study W.-A. Mozart: Sa vie musicale et son oeuvre by Théodor Wyzewa and Georges de Saint-Foix. 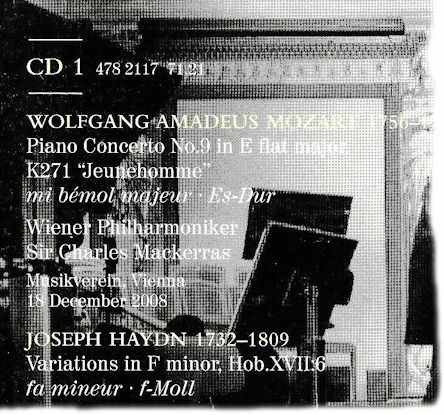 Based on the assumption that with "Jenomy" Mozart had italianised the original French name, the authors declared this unknown musician "one of the great virtuosos of her time" and since "jeune homme" (young man) was their favorite epithet for Mozart, they simply came up with the curious and inexplicable idea of naming the pianist "Jeunehomme". Thus a legend was born and subsequently one author copied this invention from the other. The truth became known in 2003: Mozart's "Madame Jenomy" was the first child of dancer Jean Georges Noverre. She was born on 2 January 1749 in Strasbourg and baptized "Louise Victoire". In the summer of 1767 Victoire Noverre came to Vienna together with her father, who until 1774 was to work there as a ballet master. In 1768 at St. Stephen’s she married Joseph Jenamy (1747-1819). A meeting between Mozart and Noverre and his daughter during Mozart’s stay in Vienna in 1768 has not been proved, but five years later Victoire Jenamy must have made Mozart’s acquaintance in Vienna. Her pianistic skills are documented: on 17 February 1773 on the occasion of a ball at the Kärntnertortheater for the benefit of her father she performed as a pianist. Before 1778 already Jenamy left her husband and moved to her father in Paris. We do not know if she ever visited Salzburg. It is also possible that she had Mozart send her the concerto. In light of the recent discoveries the slow third movement minuet of K. 271 can be seen as an actual allusion to the dancer Noverre. Jenamy never returned to Vienna, but moved to her relatives in Clermont-Ferrand, where she died on 5 September 1812. We know that K. 271 is very important to Alfred Brendel. In his 1985 essay "Ermahnungen eines Mozartspielers an sich selbst" ("Admonitions of a Mozart performer to himself") he called this concerto “a wonder of the world". Its artistic significance for Brendel is comparable to Haydn's Variations in F Minor (Sonata un piccolo divertimento Hob. XVII: 6) which he performed at his final solo concert in Vienna. The performance of Mozart's "Jenamy Concerto" is a worthy ending to the career of a great pianist. © Dr. Michael Lorenz 2008. All rights reserved. For the first time ever in the history of this piece the golden poster of this very special concert prominently featured the correct title "KV 271 »Jenamy«". © Dr. Michael Lorenz 2008. Fascinating! Thanks so much for giving us this translation of your notes. I'm listening to a recording of Brendel with I Soloisti di Zagreb as I write this. I remember looking at this piece in my music history course, which was primarily because of the soloist's entrance in the first movement. But the whole piece is wonderful.